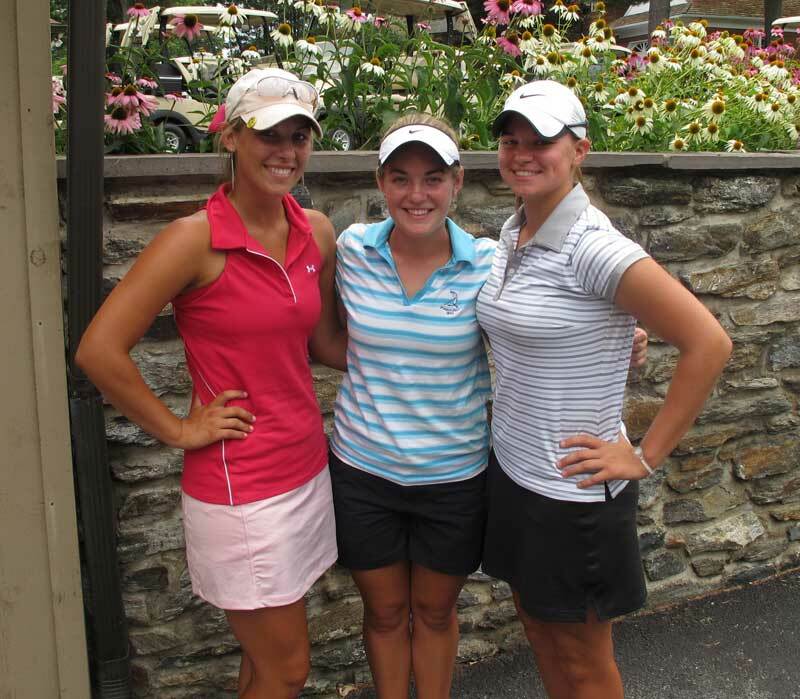 Stani Schiavone (second place), Christina Vosters (the winner) and Ellen Ceresko (third place) topped the leaderboard at a Collegiate Players Tour event this week at Radley Run Country Club. BIRMINGHAM — Play on the Radley Run Country Club was hot this week and not just due to the oppressive weather. The Collegiate Players Tour, sponsored by State Farm, ServiceMaster Clean, and Enterprise Rent-a-Car, was played at Radley Run on July 12 and 13. 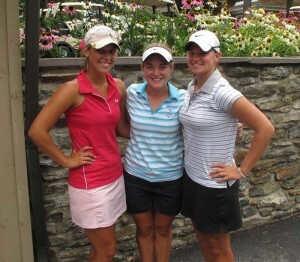 In the record heat the 20 collegians played 36 holes on Tuesday with a final 18 on Wednesday. The college players also played a scramble Monday with local business people to get a preview of the course. Monday’s golf outing benefited CADES (Children and Adults Disability and Educational Services) of Swarthmore, a local charity providing services to children with cerebral palsy and their families and others with developmental or physical disabilities. The Collegiate Players Tour (CPT), started in the summer of 1984, provides summer golf competitions for college-age men and women aged 17-24. Barry Rodenhaver, the Executive Director of CPT, has made very effort to make the tour affordable, convenient and fun. The CPT is sanctioned by both college associations, the Golf Coaches Association of America and the National Golf Coaches Association and the USGA. Radley Run was thrilled to host the event and amazed that some of the college golfers came from as far away as Texas. Other than one of the tournaments played in Ohio, all others are in the southern states with the championship held at the Texas Star Golf Course in the Dallas/Fort Worth area. The Awards ceremony was hosted by Barry Rodenhaver of CPT and Ron Stewart of State Farm who both agreed this is quality time for the collegiate and their parents and applauded the young golfers for coming so far to play at Radley Run, All participants hope to return to play the course again.